Invoice Price for Cars - Can You Go Lower? But it's often hard to tell the price where you should start your negotiations and the one you should aim to pay. The dealer invoice price is sometimes shown to car buyers to show what the car dealer supposedly paid for the vehicle. The idea is to say that they won't make a profit if they sell it for lower. However, the truth is that dealers very often pay a lot less than the so-called dealer cost that they show car buyers. So, can you go lower than the shown dealer invoice price? Absolutely. The dealer wants you to start at MSRP, but you should aim for the invoice price while keeping the TMV price in mind. The latter price is essentially what other car buyers in your area are paying for the car you want. Generally, that number will be less than MSRP, but more than invoice. Remember though that it's an average and some buyers will pay more or less. Keep that number in mind as one you can expect to pay, but work on getting below it. The last price is the KBB price. Not only can you look up new-car pricing via KBB, but this is also how you'll determine the value of your trade-in (if applicable). It's a good idea to negotiate your trade-in last and separately from the new car price. One tactic is to give you money off the new car, but then short you on your trade-in. Car buyers are often told to start negotiating at the MSRP, which is often called the sticker price. This stands for Manufacturer's Suggested Retail Price and it is essentially the price that car dealers want you to pay for the car. It doesn't mean that's what the car is worth or the only price where they make a profit. But when you're car shopping, you should be aiming for the price known as 'dealer invoice'. As previously mentioned, this is generally unlikely to be the real price that the dealer paid for the car, but more what they want you to think they paid for the car. The cost of the vehicle at this point is usually anywhere from several hundred dollars to a few thousand dollars below the sticker price. Similar to how MSRP is what the dealer wants you to pay, the factory invoice price is what automakers want the dealer to pay. In the end, neither number really matters in the market reality of car pricing. What Is the Actual Cost of a Given Car? Unfortunately, it's almost impossible to answer this question. 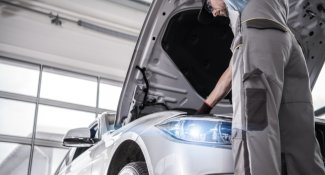 The true cost of a vehicle varies, plus, the dealer's cost is a closely-guarded secret and often involves incentives and or bonuses to the dealer from the manufacturer for hitting various sales quotas. 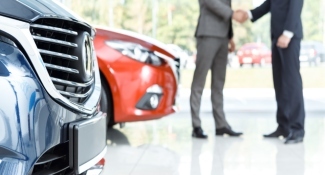 When a car first hits the market and/or it's extremely popular, dealers will be firm on MSRP as a new car price, and they may even charge more. Due to the popularity, anyone car shopping for that particular vehicle will have a hard time getting close to invoice cost because there's likely someone right behind them ready to pay the full price. Eventually though, as the initial high demand is met, car shoppers don't want to pay MSRP and dealers won't be paying full invoice to the automaker. Regardless, the dealer will almost never tell you exactly how much they really paid for a particular car. Even if they show you the dealer invoice price, it is unlikely that it's the price they actually paid. 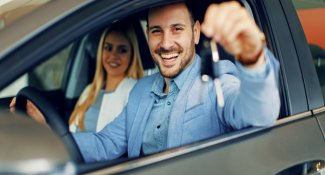 Consumer cash back or cash rebates are offered by manufacturers to buyers and it's one of the best ways to save money on buying a new car. Manufacturers may also offer cash back to the dealer itself on some vehicles. You might be able to spot where this is happening if you're directed to a different vehicle than the one you came in for. They're very likely getting a big rebate if they sell the car they're pointing you to. You may have heard that shopping for a new vehicle at the end of a month, quarter or year is a good idea. The reason why is because dealers get cash incentives by hitting sales goals at the end of the aforementioned periods. For example, suppose a dealer can get an additional $200 per vehicle if they sell over 250 vehicles in a month. If they're on the last day of the month and they have 245 vehicles sold, it's a pretty easy choice to knock some money off your car if it will help them make a bonus of $50,000. Of course, the caveat with this advice is that you have no real way of knowing before you go to the car lot if a particular dealer has met their sales goals for a period. However, if they seem pretty willing to take money off the price, chances are they haven't. Believe it or not, that new car price is not where dealers are making most of their money. Instead, financing and add-ons that the car dealership itself sells make them a bigger profit. They also tend to make a bigger profit on used cars versus new cars. Dealers' service centers are also a much larger source of profits than new car sales. For the other categories, dealers make a profit through a commission of up to three percent on the total loan amount they secure for an outside lender. They can also mark up the interest rate to you from what they were quoted and then pocket the profit. They also tend to make a lot of profit on add-ons like extended warranties, window etching, key protection and roof racks among others. They may also include a variety of fees that are nothing but profit for them. It's still important to remember that buying a car is still a business transaction. Even though you want to save the most money and get a great deal, the car dealership should still expect to get some profit. They still have to pay their employers, keep their inventory, pay advertising fees and keep the lights on. In the end, you will never know the exact factory invoice price and despite what the salesperson says, they likely don't know either. But if you walk into the dealership with the information above, you'll likely walk out with a much better deal.